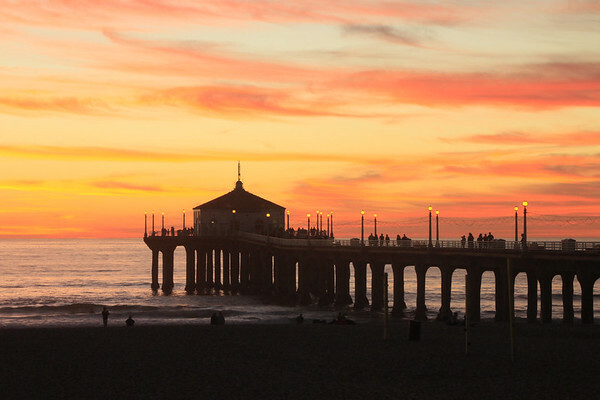 Manhattan Beach, CA is located in the South Bay region south of Los Angeles. The area is prized for its healthy, laid back, beach lifestyle. 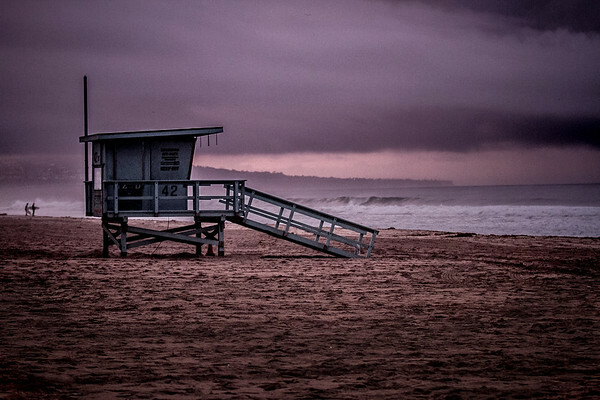 The Strand is a favorite beach front bike path for visitors and locals alike and winds through Playa Del Rey, El Segundo, Manhattan Beach, Hermosa Beach, Redondo Beach and Torrance Beach to Palos Verdes. 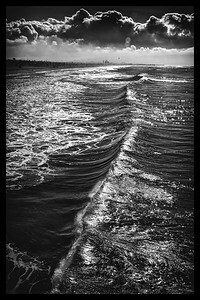 A January wave in El Porto frozen at 1/160th of a second reveals beauty, shape and surprising forms. 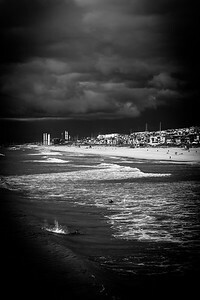 Tower 42, at El Porto, Manhattan Beach CA. 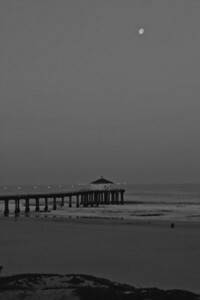 Manhattan Beach Pier, Manhattan Beach, CA. Sunrise, 5/19/11. 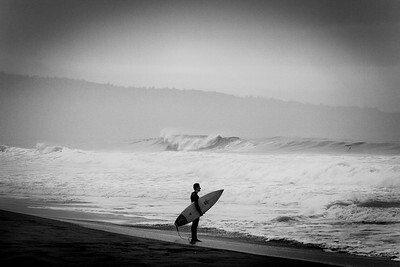 Winter surfer evaluates the waves before paddling out. 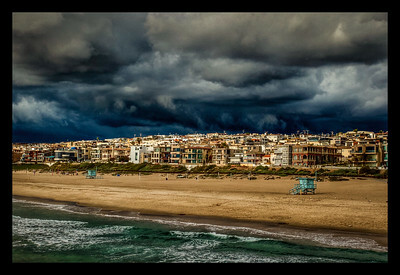 Manhattan Beach, California. 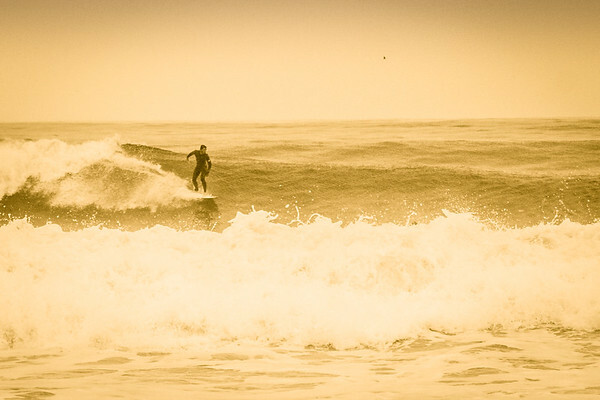 A winter surfer in Manhattan Beach, CA is rewarded with a great wave and an empty line up. 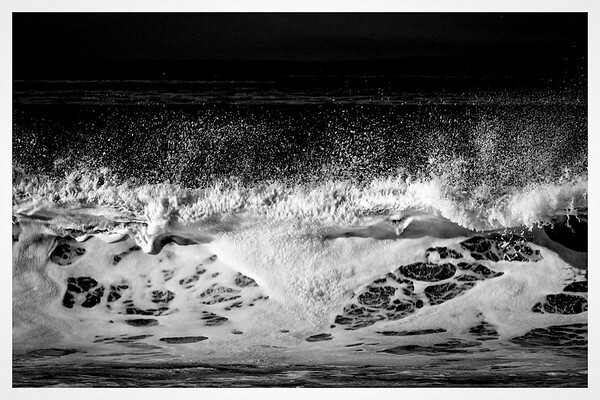 1/500 of a second freeze frame captures the fantastic athleticism of this female surfer on a wave in Manhattan Beach, Calfornia. 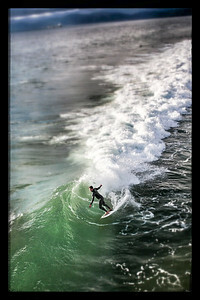 If you know the surfer please email me so I can give her a copy. 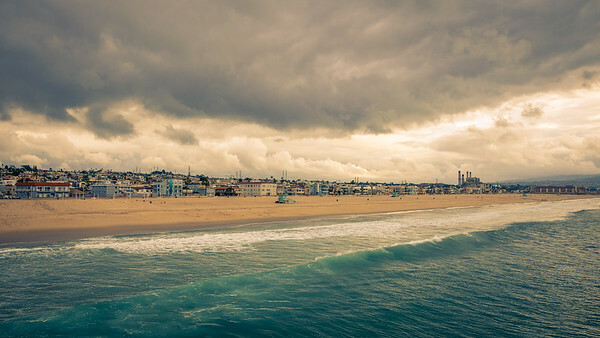 Manhattan Beach Pier, Manhattan Beach, CA. Sunrise 5/19/11. 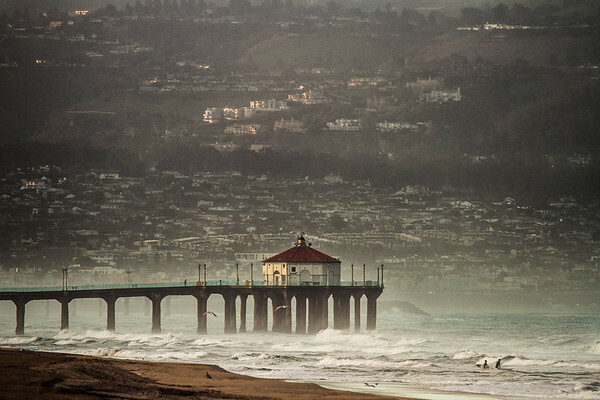 This image of the Manhattan Beach Pier was taken just before a winter sunrise. 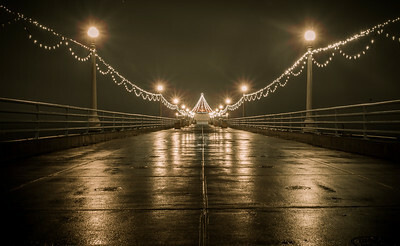 Lights from the 100th Anniversary of Manhattan Beach are visitble. 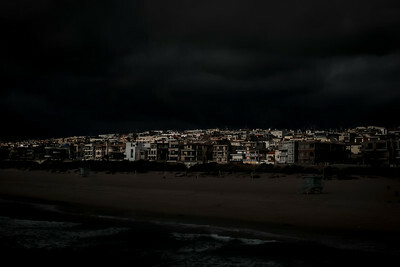 Manhattan Beach, Night. This is a new series I am working on.